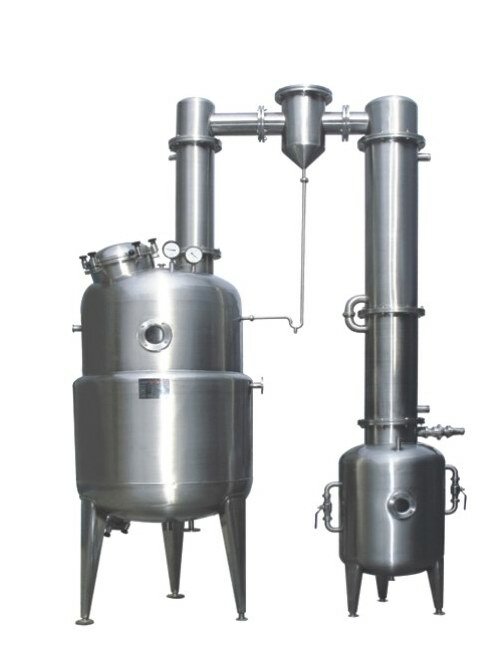 The inspissation that this equipments--Vacuum Pressure Reduction evaporator primarily be applicable to the system the medicine, food, health care, oral liquid, juice ,chemical engineering etc. 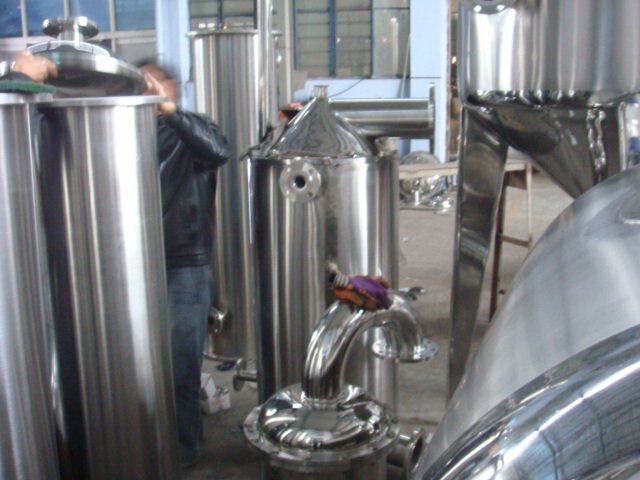 The device can used for concentrating industry liquid, and can also used for the recovery alcohol. This equipments totally contain beautiful material manufacturing of all adoption stainless steels of five specification parts concentration tank, condensator, gas-liquid separator, cooler and liquid receiving barrel. Concentration tank is of cilp sleeve structure. The condensator is of line pipe typr and the cooler is of tray pipe type, which can descend the adoption to mix blend to mix with such as the higher circumstance of concentrated degree or the development withdraw, and its result is better. The material can adopt the into the inside of concentrated bottle. The exploitation clips a steam to proceed to heat, add high degree then attain to treat center as proper, the ascension's stanza steam be controled by congealed machine of the first control the reflux measure, according to the different material bottle the foam for inside temperature clipping taking and part of and high boiling point liquid separate machine to separate to return the inside of concentrated bottle from the spirit liquid, for the industry melting agent( alcohol) through the second congealed with the water cooler finally at suffer the liquid slot the acquisition. This equipments is eaches to often press the decompression production, can intermittent bottle or continuously produce, be continuously produce into its take care of to should add the flowmeter into, in the continuous decompression production line right concentrated bottle outs the want to make first a bottle inside instauration often press the rear can out.